1. We will have an OPML file for you to download, which works the way the google bundles did, of every blog. But we are waiting until after people can check the master list for their names, because once we have the OPML file and let you guys download it, we can’t do anything about missing blogs and it makes us sad. If you prefer this method of MoFo browsing, you may have to wait until tomorrow to get the file. 2. Mary is working hard right now at getting every list up, so if you check out a category you know you signed up for, please check back tomorrow before frantically emailing us about it because she may just have not gotten to it yet. If your blog is not up by the start of MoFo tomorrow, then let us know. As you can imagine, this involves a lot of copying/pasting/typing/methodical checking. But we know you guys are chomping at the bit so if you want to start browsing blogs to add to your reader, go ahead and start looking at the lists. 3. The big list will come last, for now we are concentrating on getting up things by category. 4. If you have any questions, leave them in the comments, tweet them, or ask on facebook and someone will get back to you ASAP! Many thanks to Amanda Chronister for doing these, if you need some freelance illustration or design work done and want to support a fellow vegan, please check her out. Official Daily Themes & Blogging Prompts. Work With it Wednesday – Focussing on a food you don’t love and learning to love, or at least tolerate, it. Thankful Thursday – Focussing on the positive and giving to others. Maybe you could bake some cookies to thank a friend, teacher or neighbour? Freaky Friday – Trade with a fellow blogger for the day. Sleepy Sundays – Your favourite breakfast, brunch and lazin’ in bed snacks. This is another one that I’ll definitely be taking part in! I’d also like to share ALL of the brainstorming ideas we came up with in the workshop so that you too can laugh about Bathtub Tuesday or run with Fry-day! Monday – Mock Meat Monday, Mom’s Meals, Metal Monday, Munchie Monday, Muffin Monday, Manic Monday. Tuesday – Taco Tuesday, Bathtub Tuesday, Tomato Tuesday. Wednesday – White Flour Wednesday. Thursday – Thirsty Thursday, Thursday Treats. Friday – Fry-day, Fruity Friday, Far-mar Friday, Farty Friday (yes, we are adults), Fermented Friday, Fave Film Friday. Saturday – Sprouty Saturday, Sautéed Saturday, Sausage Saturday, Spousal Saturday, Saucy Saturday. Sunday – Sweetie Sunday, Sundae, Soul Food Sunday, Sassy Sunday, Spicy Sunday, Small Town Sunday, Special Sunday. The awesome Erika at Sews Before Bros wrote a great summary of the workshop right here if you’d like to read more about it. This year the MoFo team (with a little help from our Twitter followers) have also come up with 30 blogging prompts that you can use if you’re dealing with a case of writer’s block. Again you can use some, all, or none of these. Share your first experience cooking with tofu. 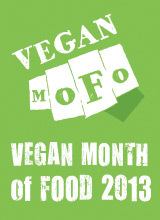 Five vegan foods you cannot live without. Five kitchen utensils or gadgets you cannot live without. Pick a historical figure and discuss what you might cook for them. Tell us about a herb you use in a unique way. Take us on a (pictoral or video) tour of your kitchen. What’s your newest foodie discovery and how did you discover it? Your vegan heroines / heroes. Hidden vegan gems in your town, city or village. Veganise a local speciality / food that’s popular in your area. What’s the best vegan meal you’ve ever eaten? Describe your fantasy meal, money and time are not an issue! What’s your favourite accidentally vegan product? How do you feel about leftovers? Your top five store cupboard essentials? Post a picture of a cat! What’s the first vegan meal you ever cooked from scratch? When is the last time someone cooked for you and what did they make? Do a cookbook challenge! Throw cookbook names into a hat, use a random number generator to pick a page and make whatever comes up. Talk about your favourite place to buy vegetables. What’s your killer dish when you’re cooking for non-vegans? 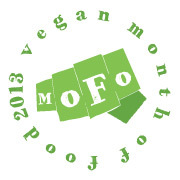 If you haven’t signed up for MoFo yet I hope that these prompts might inspire you to do so – you have until August 28th! The sign up form’s right here. Go on, you know you want to! If you have signed up but are already freaking out about how much work it’s going to be hopefully this post will help you chill out a bit! We understand that it can be hard, or downright impossible, to keep up with cooking project after elaborate cooking project for a whole month because we MoFo too. Hopefully the daily MoFo Workshop themes, and prompt questions alongside Katie’s post about MoFoing On The Go will make it all seem considerably less daunting and more fun. Roll on September! Every year, we hear people say, “Oh, i’d love to participate but i’ll be out of town for a week or two and won’t be able to post.” So here a few ways that you can keep your blog full of content, even if all you have on you is a smart phone. I have an android phone and use wordpress, so those are the apps I have experience with and will be referencing. 1. Did you know that youtube channels have their own RSS feeds? 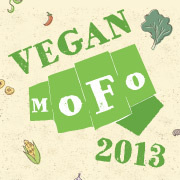 It’s entirely possible to participate in VeganMoFo without typing a single word! If you’re more of a talker than a blogger, vlogging for the month is a great option. The address for a youtube account RSS feed is: https://gdata.youtube.com/feeds/base/users/YourUserName/uploads (obviously, put your youtube username in place of ‘YourUserName’). Most smart phones take pretty good video quality, just remember to turn your phone. If you just want to supplement your normal blogging content with videos, you can just embed the video into a blog post. The youtube app on your phone has a ‘share’ feature that will send it right to your wordpress app, if you use wordpress. You can make cooking videos, show your recent vegan grocery purchases, do a video restaurant review, product reviews, or just vlog about food in general. We’re going to have a list of blogging prompts up soon that can also be used as vlogging ideas. 2. Instagram! Via the instagram app, you have the option to share your photos directly with tumblr, but after you take a photo you can also click the three dots underneath it ‘…’ and one of the options is to copy the photo url, which you can then paste into your wordpress app. If you plan on relying on instagram for blog content, make sure you read up on some tips to get the best food photos you possibly can with your camera phone. 3. You can also write some posts in advance and set them to automatically publish when you’re going to be gone. There’s no rule that says you have to write your posts on the day you publish them! 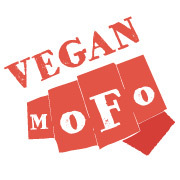 Even if you won’t be out of town during part of VeganMoFo, having a few pre-written posts for days when you feel too burned out to blog are a good idea. If you have any other suggestions for traveling MoFoers, please feel free to leave a comment! And keep in mind that the cut-off for sign-ups is August 28th, we need a few days to get the blog list together. And…thanks to the hundreds and hundreds of folks who signed up! 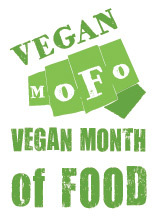 Even if you didn’t, you can totally post away and hashtag #VeganMoFo all you like. Enjoy! Well, well, well. Who’s getting ready to blog about nooch for an entire month? 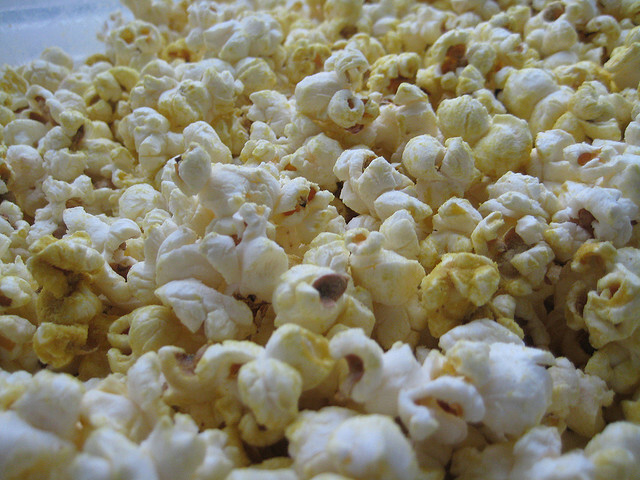 Or at least enjoy a whole lot of B12 and popcorn while trying (and eating fortified nutritional yeast, of course)? 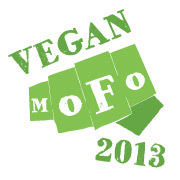 That’s right…VeganMoFo 2013 Signup is here! And whether your theme is in the works or not (or about nooch, or you’re simply being fueled by noochy popcorn), you can sign up right now! Simply read the following instructions on the official form and fill out as best as you can. It’s right here. This is the signup! And please remember, all are welcome to join in, but all content must be vegan (which means no meat, poultry, seafood, dairy, eggs or honey)! Questions? 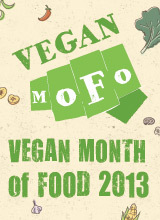 You can read the all-purpose VeganMoFo F.A.Q. right here. Stay tuned to this blog, VeganMoFo central, as well as the VeganMoFo Facebook, Instagram, Twitter and VeganMoFo room on the PPK boards for news & inspiration, RSS Feed files, categorized blogrolls, contests, the rumored return of the MoFies (!! ), and the snazzy new 2013 logos and banners for your own blogs. Keep in mind….the deadline to sign up is August 28th, 2013. See you all September 1st! 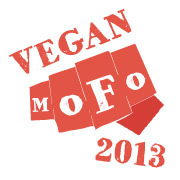 Really Big News: VeganMoFo Returns September 2013! Hello, hello! 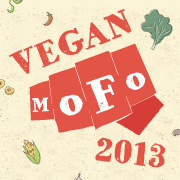 In case you haven’t heard, VeganMoFo is coming at ya this very September…next month! That’s right, you now have just under a month to get brainstorming and restock your spices and take part in the one and only vegan blogging extravaganza that is the Vegan Month of Food. 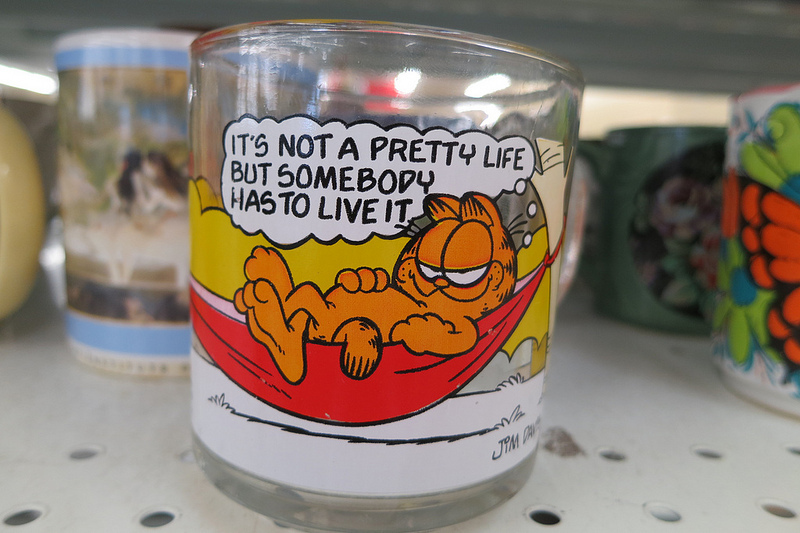 I saw this mug at a thrift store the other day and you know what, Garfield’s right: It’s not pretty, it’s pretty fantastic. And VeganMoFo clearly calls for vegan lasagana. 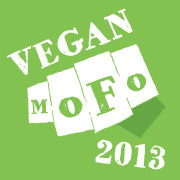 So, start thinking themes (or not, because that’s totally a fun un-theme) stay tuned right here, the VeganMoFo facebook, Instagram, Twitter and VeganMoFo room on the PPK boards for the official blog signup, RSS Feed files, contests, and the snazzy new 2013 logos and banners for your own blogs. And hashtag, of course.